Floodwater has three categories and four classifications, and the hazardousness of the water increases with each ascending scale. Floodwater has three categories and four classifications, and the hazardousness of the water increases with each ascending scale. Therefore, category one, class one is the least concern in terms of water damage, with category four, class four being the most concerning. 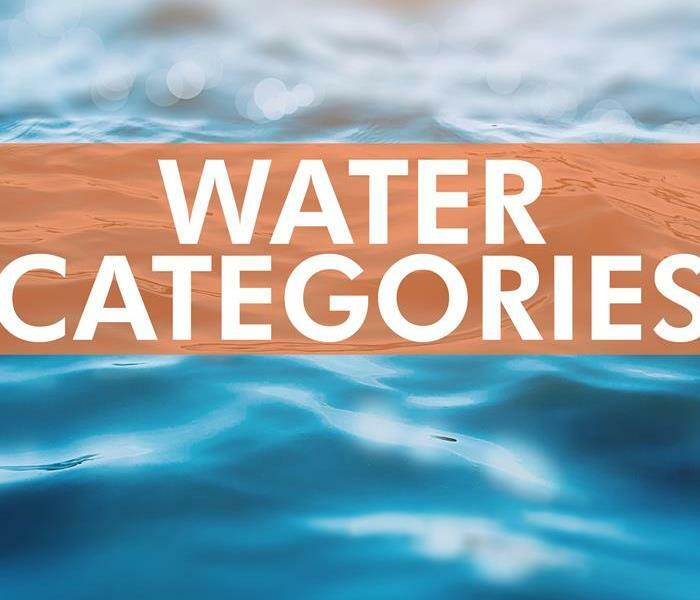 Category two falls in the middle of the spectrum, and there are many likely causes, like a failed water pipe repair, that may have led to its development. Category two likely started from a sanitary broken pipe, meaning that it originated as clean water and then became contaminated over time. While this type of water started from a clean source, it would now be considered grey water, and it should not be consumed at this point. While a water pipe repair may have fixed the initial issue, the water that was left standing after the break has had time to absorb chemicals and bacteria. The waiting and absorption can cause an escalation in classification and category because the water becomes contaminated and unsafe. As stated previously, waiting too long after an area has flooded from a sanitary source allows for absorption and an increased categorization. However, this transformation also occurs when the clean water soaks through from a higher level to a lower one. The water passes through building materials and collects contaminants along the way, meaning that the water can be category one on an upper level but category two on a lower level. A plumbing specialist in the Cincinnati, OH area should be called in to handle the removal and cleanup of category two water damage because of the health risks. Gray water is not safe to consume or touch, and it should be dealt with rapidly to avoid further deterioration and contamination. 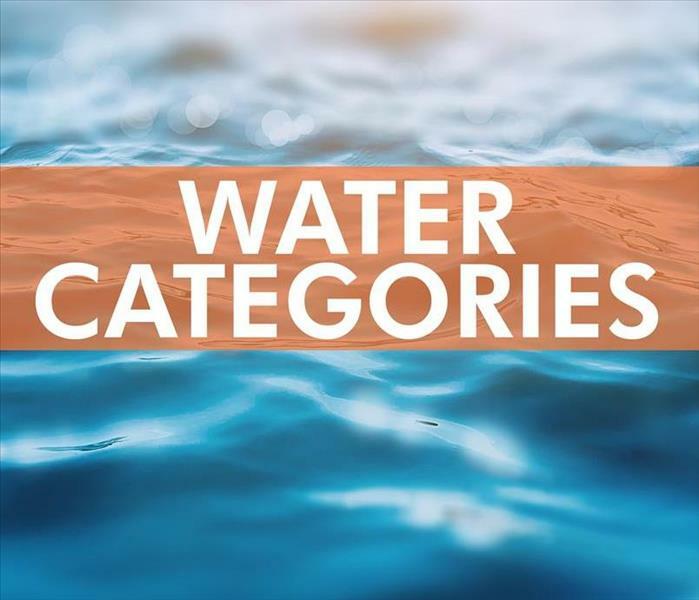 There are several tiers to water categorization, and while a water pipe repair may stop the flooding from a clean source, the standing water can quickly transform into category two or worse. 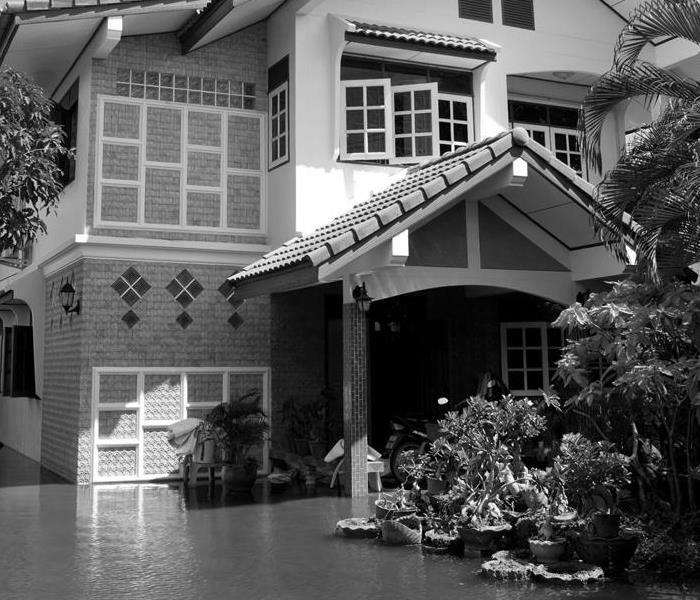 Therefore, when a pipe breaks or your building experiences flooding, call in a professional. Mold can feed off any organic material, particularly when it is accompanied by excess moisture. When you own commercial property in Cincinnati, OH it can be difficult to stay on top of everything that goes on in your building. Being vigilant about mold removal and prevention, however, can save you a lot of time and money in the long run. Here are four tips on how to prevent mold and how to handle it quickly if you do find a growth in your building. Mold can feed off any organic material, particularly when it is accompanied by excess moisture. Make sure spills are cleaned up quickly and thoroughly so that fungus doesn't have a chance to thrive under your carpet or floorboards. 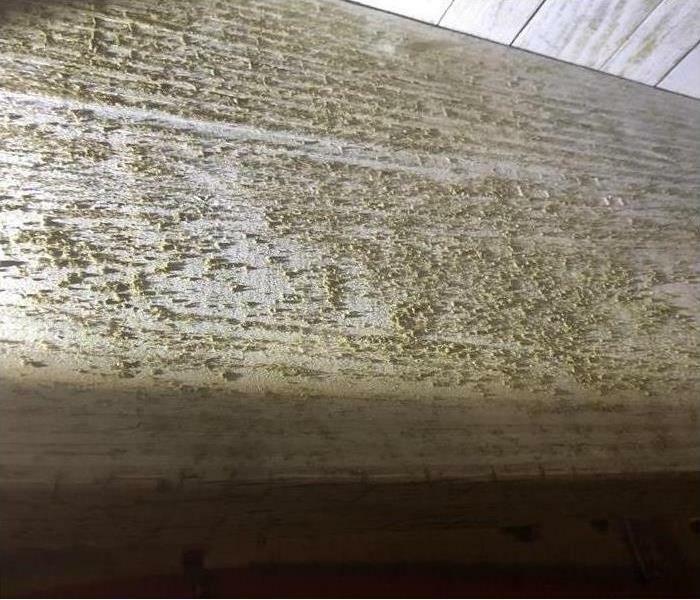 Commercial mold cleanup specialists recommend monitoring your building's moisture level to reduce the chance of mold growth. Humidity should always remain at 30-50%. Dehumidifiers can be placed throughout the building to help keep the moisture level in the air where you need it to be. Mold removal isn't something you want to wait to do. As soon as you identify a problem, you should have professionals who specialize in mold remediation to assess and resolve the issue. They can also help you make a plan to prevent mold in the future. You can't be in your building all the time, so it's important to communicate with the people who are. Your custodial staff is a great source of information on what is going on at your commercial property. These employees are the most likely to notice problems early so that you can call someone to fix them. While preventing fungus growth is likely your preference, mold removal can usually be a fairly quick process if you catch it early enough. Taking care of your building and communicating regularly with those who help do so can ensure that you are aware of any issue that occurs. Connecting with a fire restoration service before tragedy strikes can give you peace of mind, no matter the nature of your business. Your Cincinnati, OH business is likely a large investment for you in terms of both time and money. Commitment to growth, finding qualified employees and maintaining inventory are likely all important to you; however, when fire damages your building and its contents, this can pull focus away from these important tasks and leave you with the question of how to rebuild. Connecting with a fire restoration service before tragedy strikes can give you peace of mind, no matter the nature of your business. You may have some idea about what constitutes fire risk, but your building may contain hidden dangers that could increase the chance of a blaze. Reaching out to a mitigation service that responds to a variety of disasters, including fire, can help you uncover these issues with a professional inspection of your commercial property. Outdated electrical wiring, basement debris and the improper storage of flammable chemicals are only a few risks these inspections might uncover. Facing a fire rebuild at your business can seem overwhelming, especially when paired with insurance matters and how to handle the financial losses you are likely to encounter during the repair process. 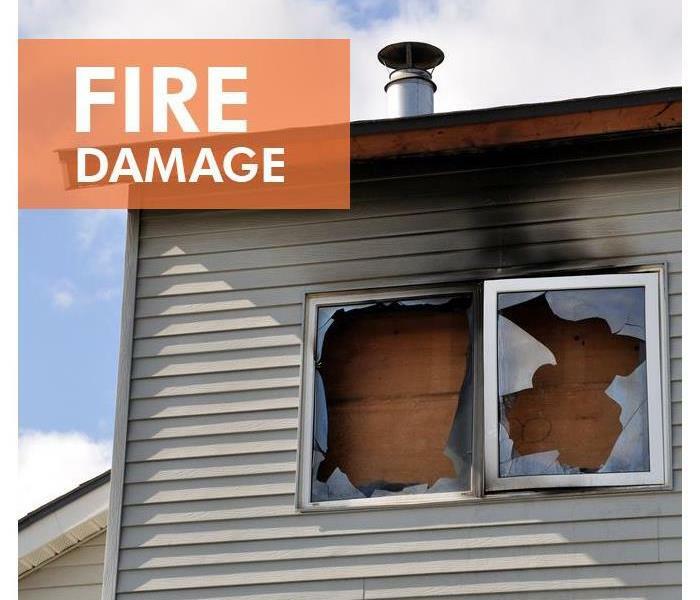 Having a fire mitigation and restoration team on call can be of utmost assistance during this difficult time, as its professionals can advise you about which services you will need, from tear-outs to soot and smoke cleaning, so you can handle other aspects of the rebuild process without feeling overwhelmed. Having a fire restoration service number in your commercial contact list can help you resolve any fire emergency, no matter its size. 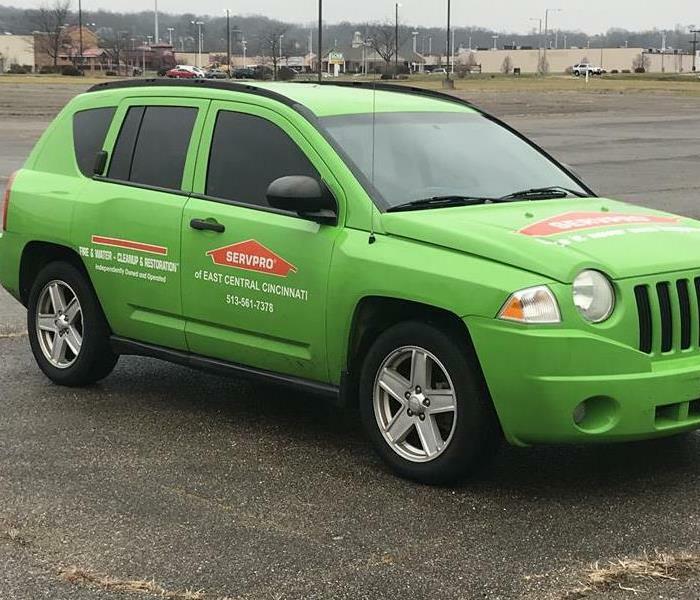 Whether you had a small fire in your breakroom and need deodorizing solutions or rebuilding services after a major fire damaged the first floor of your building, you can turn to your contracted company day or night for assistance. Owning a Cincinnati, OH business comes with many responsibilities. However, contracting a fire restoration service for on-call protection can provide you with peace of mind against the unknown. Once you have reported the damage to your agent, they may recommend a water damage remediation service to take care of the damage. If a storm or broken pipe has caused water damage in your Terrace Park, OH home, you may be at a loss for what to do next. While it may be stressful, you don’t need to panic. There are services that can help you deal with the situation. Aside from panic, here are a few other things you should avoid in the event of water damage. One of the first things that you should do in any home emergency is to call your insurance agent. In order to get the most from an insurance claim, you should avoid waiting too long to report the flooding or other damage. It is best to get the process started as quickly as possible, so you should make the call as soon as you are in a safe place, if the damage is severe enough to require relocation. While you may not be able to take care of the damage completely, if water in the home is left alone, the damage will continue to worsen and may cause walls or floors to become warped. It can also make it easier for a mold growth to develop. There are some things, such as blocking off other areas of the house or placing tarps on damaged windows, that you can do as a temporary measure to keep water from spreading. Once you have reported the damage to your agent, they may recommend a water damage remediation service to take care of the damage. They can further remediate your home to prevent damage while they make repairs to the broken pipe or other sources of water. They can also help to save any of your belongings that are not beyond repair. If you have water damage from a broken pipe or other problem, keep this advice in mind. It will allow you to take the necessary steps to reduce home damage and get the most from your insurance claim. Where Do You Find Mold? As the homeowner, you play a key role in avoiding mold damage. 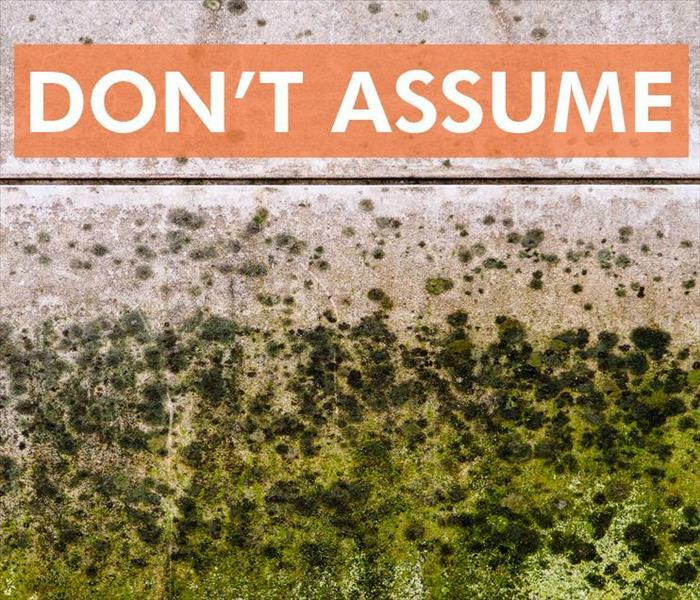 If you smell something musty in your home in Deer Park, OH you may have a mold problem. It may not be immediately visible, though. Mold damage can occur on almost any surface, particularly if it is porous. All it needs to thrive is moisture and something organic to feed on. Here are some places to look for mold and tips on how to keep these places fungus free. Excess dust can also contribute to mold growth. A layer of dust on a surface gives spores in the air another place to attach and grow. Regular dusting can help keep fungus growth at bay. Mold is everywhere. It gets inside your home by attaching to clothing, hair, pets and shoes. Once the spores are in this confined space, they start to look for a place to land and grow. Mold damage occurs when they find it. The most effective way to prevent mold growth is by getting rid of the excess moisture in your home. Try to keep humidity levels between 40-50%. You can measure the humidity in your home with a device from your local hardware store. Make sure rooms that are prone to higher humidity, such as bathrooms and the kitchen, are properly ventilated for good air flow. When you notice a leak, call water remediation specialists immediately to dry and restore the area. Controlling moisture is vital to controlling the spread of mold. As the homeowner, you play a key role in avoiding mold damage. Rid your home of excess moisture, and when you cannot, inspect all the surfaces where mold can grow to catch it at its beginning stages. By being vigilant about prevention, you can protect the air quality in your home. Providing information about the category and classification of the water and damage to your home. Anyone who has experienced flooding is likely familiar with the various colors associated with floodwaters: white/clear, gray and black. These colors are often tied to a category and a classification which specifies the amount of safety precautions necessary and the level of mitigation and clean out. When filing a claim, it is critical to know the category and classification because each ascending level impacts the severity and costs of damage. Therefore, pretesting is used to designate the category and classification of water to ensure that claims and restorative preparations are efficient and accurate. When filing an insurance claim, category one, or white/clear, water is the least expensive to remedy. The source is sanitary, meaning that there is no harmful bacteria or sewage present. While this category can be a relief, it is still necessary to act quickly to remove the water and repair the damage. If the water sits for too long, it can be contaminated by other items in the area, causing an elevation in category or classification. If the water is found to be category two, or gray water, through pretesting, then it is best that you do not go near it. This result indicates that there are organic and inorganic substances in the water and that you may become ill if it is consumed or touched. Category three, or black water, is the most dangerous water. The level of contamination includes sewage, chemicals, bacteria and possible toxins. It is likely that your insurance agent and company will recommend a disaster restoration specialist in the Madeira, OH, area who will probably seal the space as they work to remove the water safely. Insurance claims require accurate representations of the damage to a property. Pretesting provides those assessments for insurers by providing definitive information about the category and classification of the water and damage to your home. Every employer is required by federal regulations to develop and provide adequate evacuation plans to their employees. While everyone, including business owners, has had to go through at least one fire drill in their lives, it is different when you have to design one. Business owners are required by law to have designated exit routes for their employees, and they are supposed to practice these routes to help employees prepare for an emergency. Therefore, in developing and designing your emergency exits, it is important to keep a few traits of a good plan in the forefront of your mind. Every exit should be well-lit and designated. You can mount light-up exit signs throughout your property that can help guide employees and clients safely outside. Also, you can install battery powered lighting that is triggered in the event of an outage, ensuring that everyone can see where they are going. A fire drill is an excellent way to determine if all your planning has paid off. Your employees should have no problem working their way toward an exit. If you notice that there is too much congestion because a hallway is too narrow or there are obstacles in the way, then you will have to change the route or clear the obstructions. 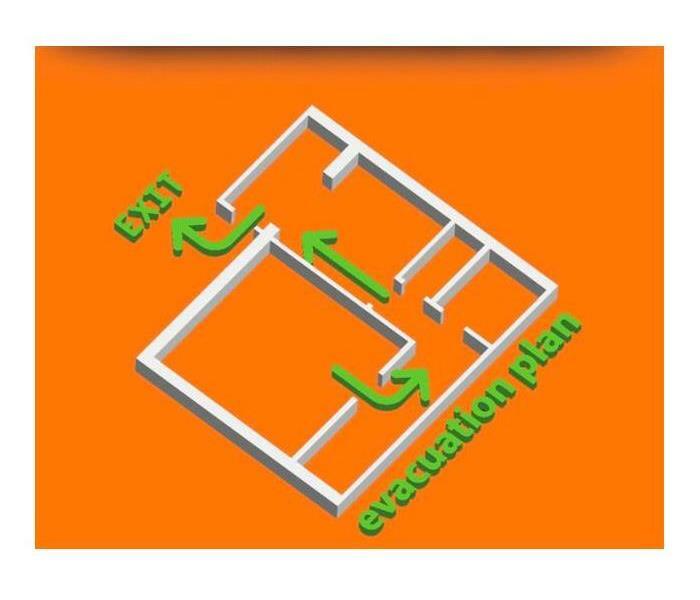 Beyond practicing escape routes, you should place evacuation maps throughout your building. These maps can be placed near fire extinguishers and other high-traffic areas to ensure they are easily spotted. It never hurts to ask for help. If you are unsure of the best way to design evacuation routes, you can reach out to your local fire department or a fire remediation specialist in the Cincinnati, OH area for guidance and feedback on your plan. Every employer is required by federal regulations to develop and provide adequate evacuation plans to their employees. Also, it is suggested that businesses conduct at least one fire drill annually to ensure employees are familiar with those routes. If your home in Indian Hill, OH, catches fire, your first thought is likely to be your family’s safety. Closely following that thought, however, is how you’re going to restore your home so that you can return to it. How do you protect your home between the time you call fire restoration specialists and the time they begin repairs? Board up services can protect your home from more damage and protect you from liability and insurance coverage loss. Here are three reasons it’s important to secure your home after a fire. A fire can be devastating to your home. Emergency board up services help you keep any further damage from occurring. By covering broken windows, holes in your roof or walls and compromised doorways, you can protect the inside of your home from wind or rain before and during the repair process. Securing your home can also keep out animals and would-be vandals and thieves. It’s wise to minimize your worry in any way you can. Some people consider an opening to a home an invitation. If you board up your home after a fire, however, you can prevent them from entering. Your home is not likely to be structurally sound, so anyone who enters it is in danger of injury. If people are injured on your property, particularly if they can prove you did not indicate that it was unsafe to enter, they can sue you. Protecting people from injury also protect you from liability. If your home has fire damage and you fail to secure it, your insurance company could discontinue your coverage. Because protecting your home from further damage saves your provider money, the company may consider it negligence if you don’t place boards or tarps over the open areas of your home and thus may refuse to accept your claim. Professional restoration technicians are Here to Help in any way they can. They can board up your home as part of their repair process. No matter the type of mold growth call your experts. There are thousands of types of mold in the world, and many of them can find their way into your home. If you notice mold growth on your walls, floors or ceiling, you should call your local mold remediation company immediately. These certified professionals can identify the type of mold and use that information to formulate the best plan for getting rid of it. More commonly known as black mold, this fungus is attracted to damp areas, particularly those that have water damage that has gone unnoticed or untreated for several weeks. You may notice black mold on walls or near air vents where condensation has collected. It may also infest cardboard, paper or wood. 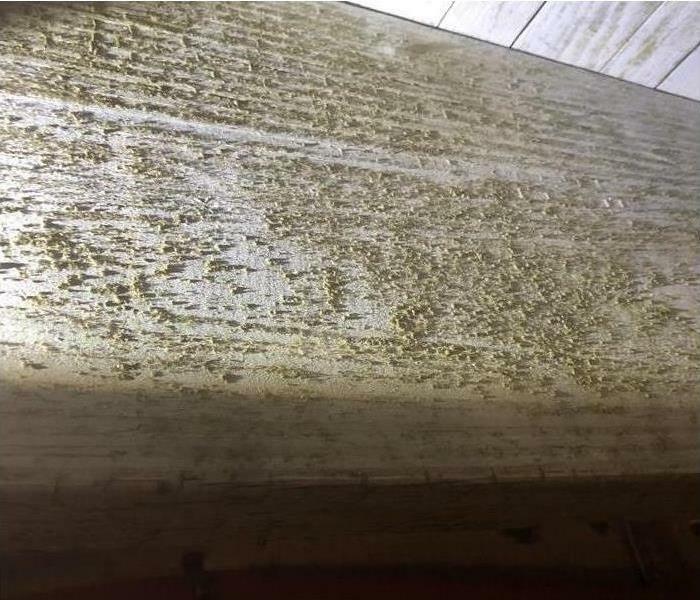 This type of mold is particularly attracted to areas that tend to have high humidity due to extensive and frequent water usage, such as kitchens and bathrooms. This mold growth may appear alone or beside other household molds. You are likely to see thick swatches of mucor near your HVAC unit. It thrives on the condensation that gathers around air conditioner coils and vents. Once it starts to grow, it can multiply very quickly. It is advisable to call mold specialists in Cincinnati, OH, as soon as you see these greyish white patches. This fungus often remains out of sight. It shows up in areas that have ongoing water damage. Attics and basements where leaks have occurred may start to take on a musty smell. This is a sign that you have a mold problem that needs to be mitigated. No matter what type of mold growth you find in your home, the best course of action is to call in the experts. These technicians are trained to assess and strategize ways to overcome mold, and they have the skills to clean your home and restore it to its original condition. How to Tell if You Must Replace My Carpet After a Flood? Water damage can come in various levels of severity and size—from a pipe break dribbling water into a wall, to excess rain flooding an entire basement. Regardless of the issue, you may have to repair or replace parts of your home. If you’re not sure whether the floorings needs attention, pay attention to warning sides that it’s time to tear out your carpet and lay down something new. Hand-dry the floor with towels. Dry the floor with towels and blow-dryer. Clean the carpets with professional-grade machines. Raw sewage flooding is perhaps the worst type of flood you can experience in your Amberly Village, OH, home. A sewer backup or major toilet leakage could send dangerous microscopic pathogens into your home. Known as black water because it contains human feces, this flood water can harm or even kill you. This will require complete restoration. If you can detect a leak or other water issues quickly, you can often salvage carpet, drywall or other parts of your home. However, if the flooding starts while you’re not at home, and water sits on the floor for days or even hours, you probably won’t be able to save the flooring. There will be too much saturation, and you should call a professional cleanup company to tear out the carpets. There’s no reason to take chances when it comes to a pipe break and significant flooding in your house. If black water or standing water infiltrates your carpet, plan on letting a professional replace it. 3/8/2019 - Where Do You Find Mold? 1/17/2019 - How to Tell if You Must Replace My Carpet After a Flood?